The Communications Officer will create and deliver outputs related to internal and external communication, planning and delivery including press releases, stakeholder communications within the country. These outputs will reinforce the British Council’s position as a cultural relations organisation with high quality products and services that positively change lives. Prepare publicity material, including press releases, and proactively seek coverage of the British Council activities in print and broadcast media, recording these for monitoring purposes. Identify and developed stories, case studies from all areas of operation for wider communication and sharing, internally and externally. Website management with accurate, up to date and correct information. Nepal content management in internal intranet with accurate, update and correct information. Collect contents for the monthly e-newsletter and sent to contacts on time. Manage all social media following BC’s guidelines. Manage basic designing of communication materials using photoshop e.g social media posts, web banners etc. Ensure that the FABS system is followed for any procurement under the assigned budget. Demonstrable experience in managing social media platforms with experience of running digital campaigns and promotion. Demonstrable experience in adaptation and systematically managing content for different communication platforms. Selected individual is expected to start from November 1, 2018. Job Categories: NGO/ INGO/ Social Work. Job Types: Full-Time. 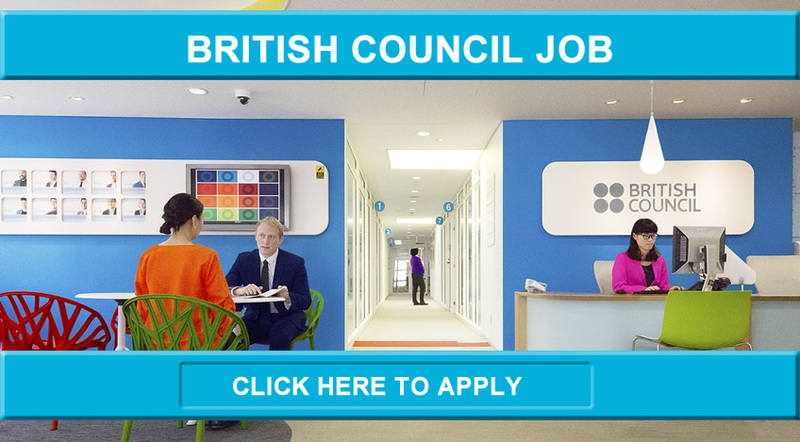 Job Tags: British Council Jobs, Jobs in British Council, jobsnepal, kathmandu, Latest Jobs in British Council, and nepalijobs. Salaries: Negotiable.